A shopper buying an electric generator in the wake of Superstorm Sandy. November retail sales rebounded in the aftermath of Superstorm Sandy, helped by a strong and early start to the holiday shopping season, according to the latest government economic reading. Overall sales bounced back to a 0.3% increase in the month, the Census Bureau said Thursday. The rise came after a 0.3% decline in October, when sales were distorted by Superstorm Sandy, which shut down many stores in the Northeast for the final days of the month. "This indicates that some of the spending that Sandy prevented in October just took place in November instead," said Paul Dales, senior U.S. economist with Capital Economics. Core retail sales, a measure used by many economists that excludes volatile sales at car dealers, building supply stores and gas stations, rose 0.5% in the month after being essentially unchanged in October. "The November retail sales data make us a little less worried about significantly weaker growth," said Joseph LaVorgna, chief U.S. economist for Deutsche Bank. The November report also included Black Friday, the traditional start of the holiday shopping season, which this year came earlier in the month than normal. While sales at department stores fell 0.8% in the month, sales at electronics stores jumped 2.5% and clothing store sales rose 0.9%. In addition, sales at nonstore retailers, primarily online shopping sites, jumped 3%. The impact of the storm was uneven across the various retail sectors. Spending at gasoline fell 4% in the month, as many gas stations in New York and New Jersey remained closed in the weeks after the storm and the states imposed gas rationing to try to control long gas lines. A slight drop in gas prices nationwide also helped to bring down spending at the pump. 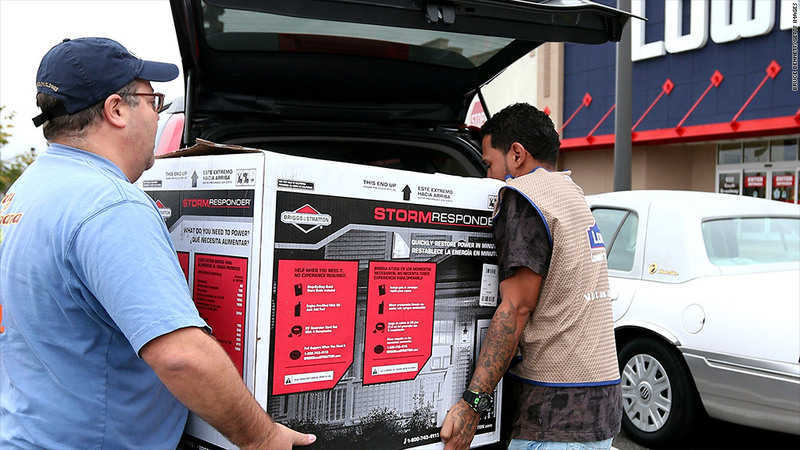 But spending at home improvement stores shot up 1.6% as residents and businesses in the affected areas worked to clean-up and make repairs in the storm's aftermath. Sales at car dealers also rose 1.6% in the month as buyers who had planned to complete purchases the last weekend of October ended up having their purchases delayed by the storm, and other car owners had to replace vehicles damaged or destroyed by the storm. Automakers had already reported the strongest month of new car sales in more than four years in November.